Home Kollywood News Yaashika Aanand lands in trouble! Bold and stylish actress Yaashika Aanand debuted in Kollywood with the 2016 movie ‘Dhuruvangal Pathinaaru’ and went on to act in several films with supporting characters. Though the film is shot on a shoe-string budget, it became a surprise box office hit and won fame for its cast members. She got her breakthrough after acting in a key role in the adult comedy film ‘Iruttu Araiyil Murattu Kuthu’ co-starring Gautham Karthik. She is also famous as a fashion model and social media influencer. 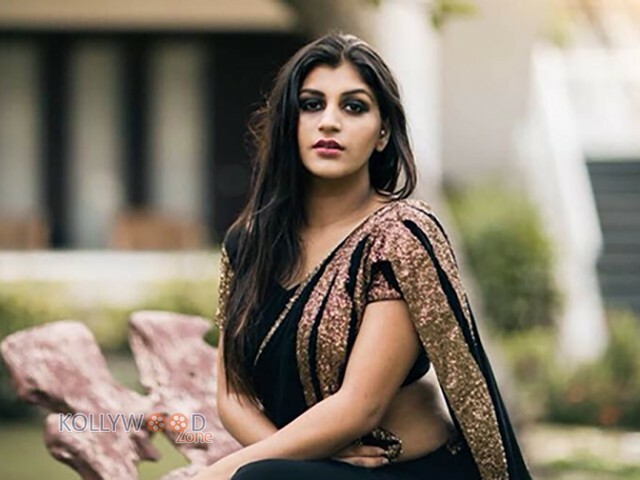 Following her appearance as a contestant in last year’s Bigg Boss Season 2 game show hosted by Kamal Haasan, the heroine has been flooded with film offers, and she is currently acting in a film called ‘Zombie’ with Yogi Babu and another untitled movie with Mahath. Now, Yaashika Aanand has landed in trouble because of her off screen act. Recently, Yaashika Aanand had been to a theme park and was surrounded by public and fans, who had requested her to sign autographs for them. Since, a few of them did not have any paper, she reportedly autographed on currency notes, and following this, the actress has been receiving backlash on social media sites, as only the RBI governor has the power to sign on currency.